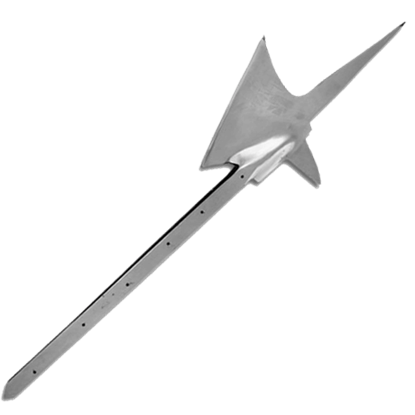 What is the best way to make a halberd more effective? 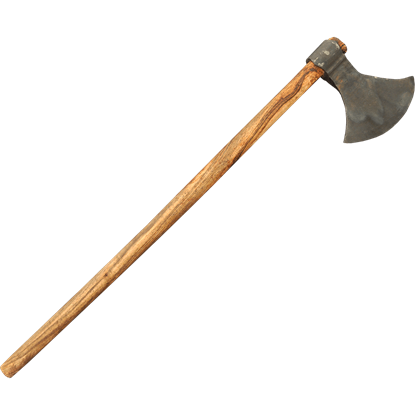 One look at this Broad Halberd will tell you that making the axe head broader is the way to go. A broader blade adds weight and mass to every strike the weapon makes. 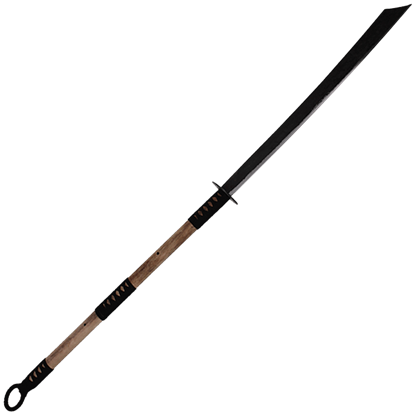 This Chinese Pudao is inspired by the weapon used by Chinese infantrymen against mounted attacks. 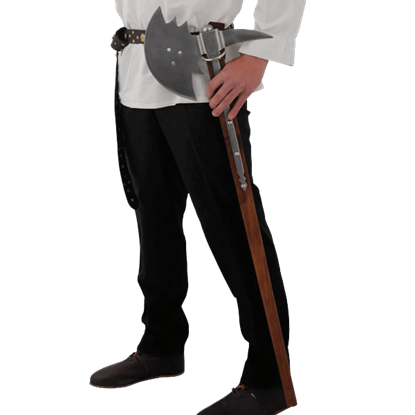 These weapons were called horse cutters, due to the ability of their massive blades and long handles to cut down their adversaries. 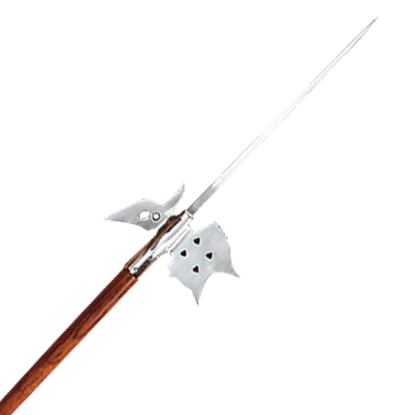 Typifying the weaponry from the Middle Ages, the Crescent 16th Century Decorative Medieval Halberd is a magnificent decoration that exudes a look of medieval era elegance and displays your love of this historical period. 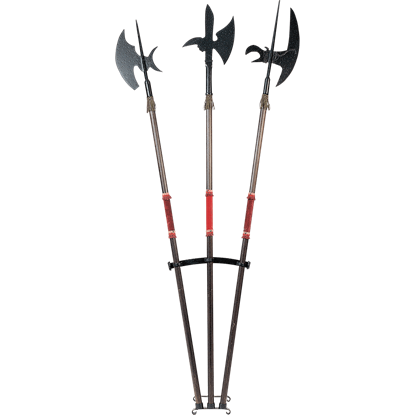 Crafted to securely display up to three pole arms at once, the Display Stand for Three Halberds is a wonderful complement for your decorative weapons. It is crafted from sturdy cast metal in a simple and stable design. 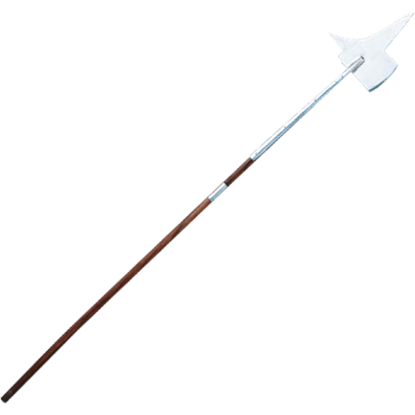 A halberd takes the effective advantages of an axe and a spear and combines them into one weapon. 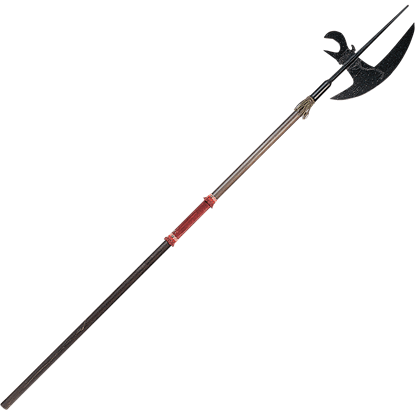 In essence, a pole weapon like this English Halberd has the heft and impact of a heavy axe, as well as the range of a good spear. 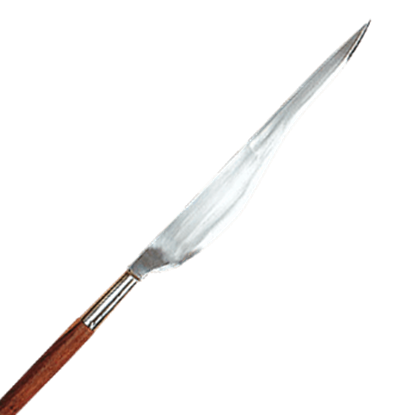 A Fauchard is a pole weapon that is similar in nature to glaive, being designed to deliver thrusts and cuts from a distance. The difference comes from the shape of the blade, as the fauchards design is much more complex and involved. 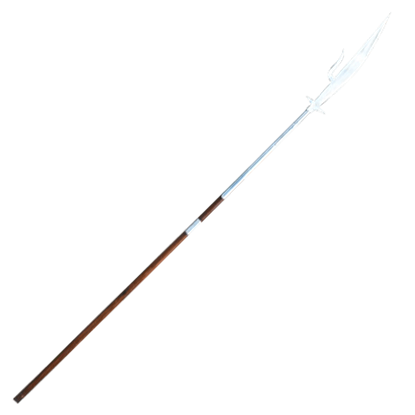 The voulge is a medieval pole weapon that takes the strengths of a spear and applies them to an axe-like blade. 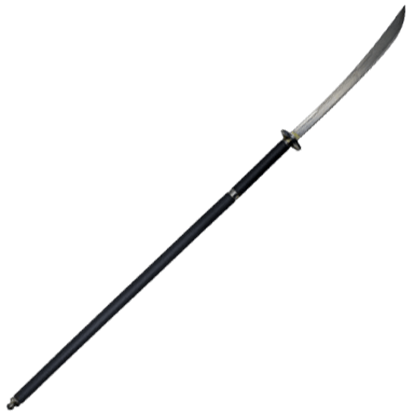 This French Voulge is of particular note, because it features a knife blade that is effective at hacking and thrusting. Not all medieval pole weapons were made for thrusting and stabbing. 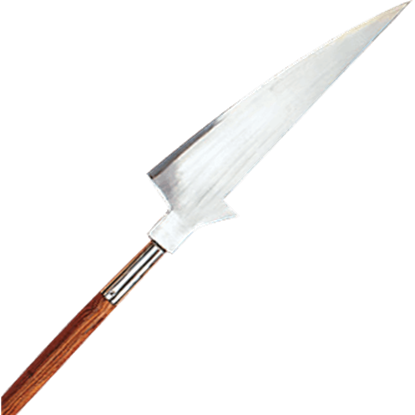 Some, like the Glaive, combined the strengths of a spear and a sword, creating a weapon that had the range of a spear with the ability to slash and cut like a sword.